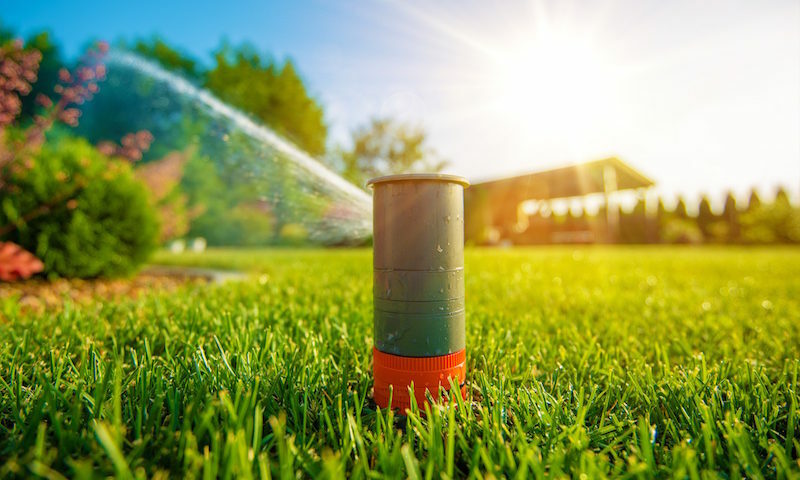 There are several sprinkler heads available on the market today, which means there’s an option to suit all types of irrigation needs. The water moving through a sprinkler passes through the primary line to the valve, then to the zone line and into the sprinkler head. The head extends up, out of the ground to spread the water around; however, each sprinkler does this a bit differently. When choosing sprinkler heads, you need to weight your options carefully to ensure the right ones are selected. Some of the most popular types of sprinkler heads to consider are listed here. If you want to cover larger areas, then the rotor sprinkler heads are a smart option. These are designed to cover a wide range and are commonly used in flowerbeds. These can be set from bubble-size to micro-sprayer, based on your needs. A pop-up sprinkler head has a portion that is low and wide, which fits in the ground. The sprinkler head then pops up (just as the name implies) when activated and begins to spray water. If you have a six-inch pop up sprinkler, it will spread the water approximately 30 to 35 feet. This is a great option for open lawns, or areas near curbs and sidewalks. A mechanical motion is used on these sprinkler heads to “impact” the water and send it off in a particular direction. The heads are able to spread the water approximately 45 feet and often used on wide, open lawns or on golf courses. However, the impact sprinkler head’s design doesn’t work with all types of lawns. There are some certain types of grass that could get caught in the parts. The main feature of this sprinkler is that it has an adjustable head. This means you can turn it to any angle needed. A variable arc nozzle also offers a constant spray, which results in a much higher precipitation rate than the rotor sprinkler heads. These are typically used in an area that require more water than usual. Also, these sprinkler heads can distribute the water across a radius of approximately 15 feet. If you are somewhat overwhelmed by all the options, don’t worry, there’s help available. The professionals can evaluate your lawn and help you determine the right type of sprinkler heads for your needs. By enlisting the services of the pros, you can feel confident the right sprinkler heads are purchased. If you are ready to learn more, reach out to us, at The IDL Company today. We can provide assistance with any sprinkler system issue you may have.